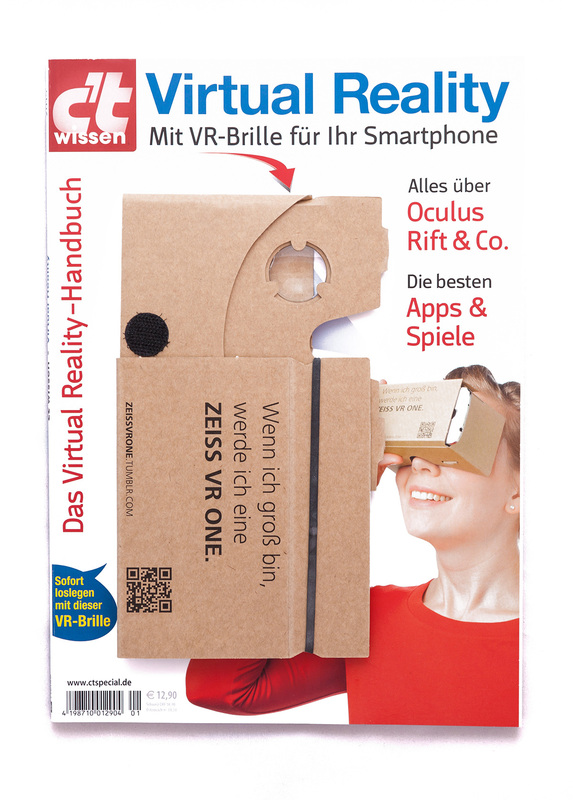 In summer 2015 the German top magazine computer technology published a special edition featuring VR technology in cooperation with ZEISS, a German manufacturer for optical systems as well as the ZEISS VR ONE. 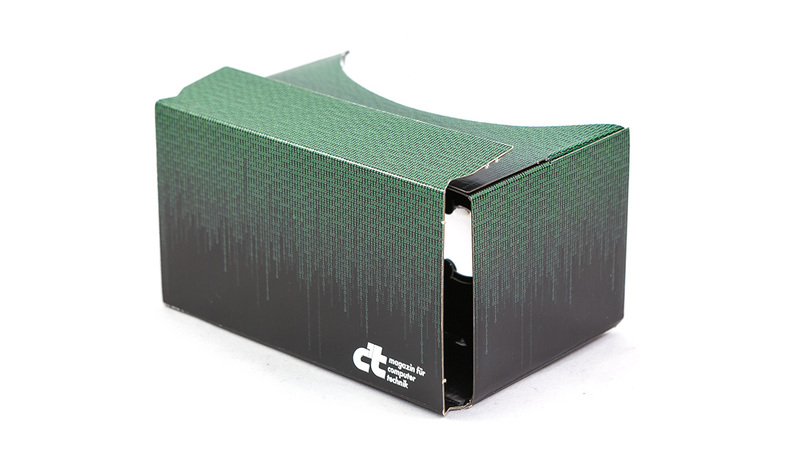 Part of the special edition was our custom printed Google Cardboard on the front of the cover spelling “Wenn ich groß bin, werde ich eine ZEISS VR ONE” (engl. 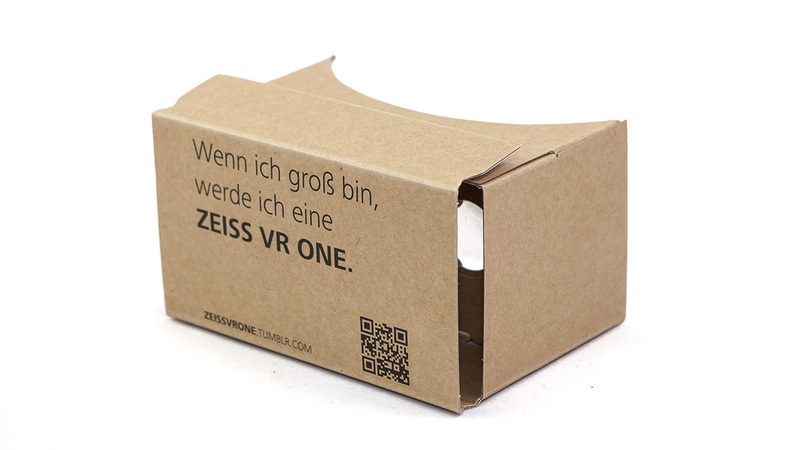 “When I grow up, I will become a ZEISS VR ONE”).